We're proud to announce the launch of MyUS.com! MyUS provides consolidated shipping options for orders from retailers in the United States to a customer base that spans the globe. By consolidating multiple purchases, ranging from computers and electronics to sofas and automobiles, MyUS helps their customers save significant amounts of money when it comes to international shipping costs.  We partnered with MyUS to re-engineer their customer-facing components. 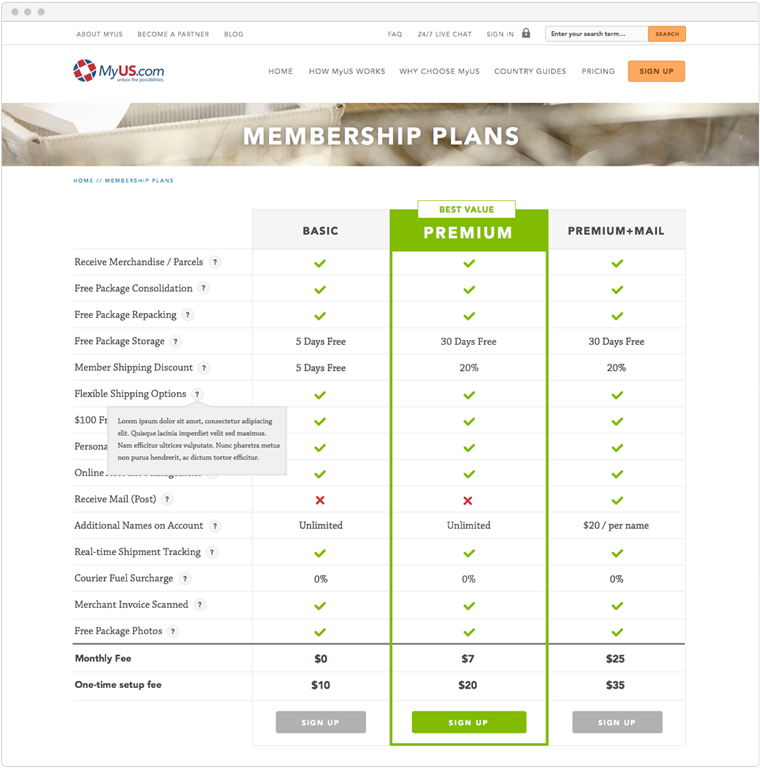 By redesigning MyUS' web and mobile-based user interfaces, we've improved the online experience for MyUS customers. Our solution is built on Responsive Web Design and Better CMS, features improved account registration and account management capabilities, and integrates with MyUS' existing ecommerce system. Not only is mobile device usage at an all-time high, but also shopping on mobile devices is an undeniable emerging trend. 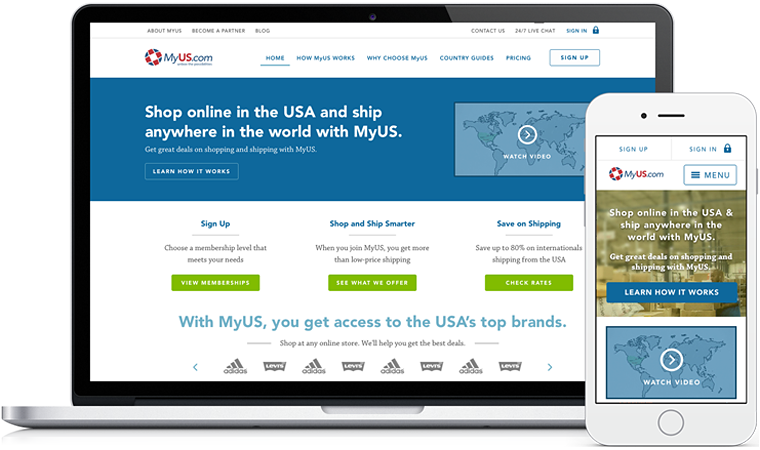 With a responsive user interface, MyUS' customers can access MyUS.com from a desktop computer, tablet or smartphone, just like they do the retailers from which they purchase the items MyUS will be shipping. 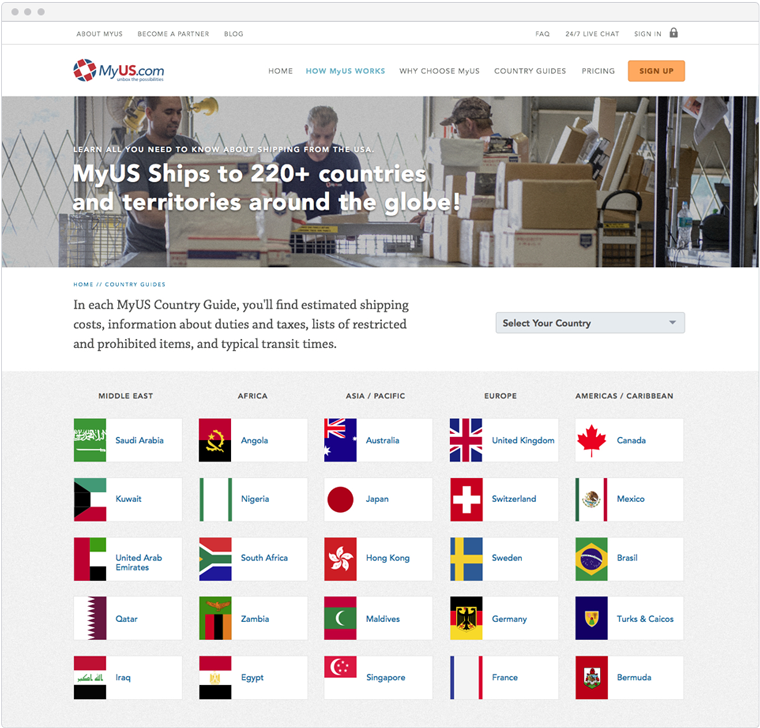 As an international shipping consolidator, MyUS' customer base is international. As a result, MyUS needed the ability to manage content and landing pages based on regions from the back-end. With Better CMS powering their website, MyUS' administrators can effectively control content such as exchange rate and shipping costs based on country, providing a personal experience to their users. Our web solution integrates with MyUS' existing ecommerce system, while simultaneously improving the process for new customers looking to sign up. Check out the new MyUS.com!